Great opportunity! Build your dream home or hold as an investment. 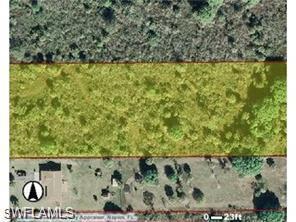 Prime wooded lot with many beautiful Sabal Palms. With this 180 foot wide lot, one can access the rear of the lot to build a guest house, oversized garage, or workshop. Use your imagination, endless possibilities! Not a short sale or foreclosure. We recommend environmental inspections and wetland determinations on all Golden Gate Estates properties.